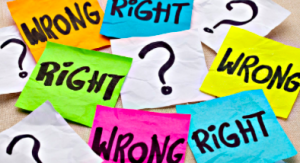 Of course, ethics has always been essential to professional success in public relations — just as ethics is essential to successful practice in all professions. Nonetheless, as one who has been teaching, writing and speaking about ethics in public relations for more than 20 years — and as a former member of the task force that developed the 2000 PRSA Code of Ethics — I was heartened to see the Commission’s increased focus on ethics. A critical first step in advancing ethics in practice is making ethics relevant to professional success. And making ethics part of the core PR curriculum highlights the importance of ethics in career preparation and advancement. Indeed, adding ethics to one’s professional portfolio could be the distinguishing characteristic that results in a job offer or promotion. Research by the Commission found that practitioners ranked only writing and communication higher than ethics in importance to the success of entry-level practitioners. The drafters of the 2000 PRSA Code of Ethics recognized that ethics education, along with some inspiration, would be key to helping PRSA members make ethics a priority in professional practice. Given the challenges associated with enforcing a voluntary code of ethics, the group focused on defining ethical obligations affirmatively (rather than punitively), offering clear and concise core values and principles, and encouraging continuing ethics education. Ethics training comes in many shapes and sizes, ranging from a quick review of industry and organization codes during a coffee break or a session on ethics at a professional conference to an ethics webinar online or a review of a new ethics book at the beach. All these types of training can help develop ethical competencies by providing time to contemplate ethical dilemmas and consider proper responses before practitioners are in situations that require thoughtful and quick responses with little time for reflection. There are four key aspects to building a professional ethics portfolio. First is raising one’s ethical consciousness in order to recognize the ethical dimensions of a client’s or employer’s decisions and actions. Second is becoming familiar with the professional and organizational standards, principles and values that should guide ethical conduct. Third is crafting and/or adopting an ethical decision-making process that can be applied in practice to ensure ethical outcomes. Fourth is enhancing one’s ability to justify decisions and counsel on the basis of sound reasoning and best practices. Another important aspect of enhancing ethics capabilities — especially for new pros — is developing the professional courage to raise your hand in times of ethical conflict, or as one of my students put it, being able to say “no” to the boss. Having a plan for speaking up when ethical standards are being violated arms you with the tools and expertise — and confidence — needed to provide sound and effective counsel that helps resolve conflicts and issues in ways that ethically advance a client’s or employer’s goals. A number of ethical decision-making guides have been offered by PR scholars and professionals to aid practitioners in evaluating and resolving ethical dilemmas. Most involve articulating ethical issues, such as defining the core values and principles that should guide decision making, identifying parties that will be affected by a decision or action, balancing conflicting loyalties and obligations, anticipating outcomes and considering alternative solutions. Whatever guide is followed, the process should ensure that the interests of all parties affected by organizational decisions and actions are considered and respected — and core values and principles upheld. The bottom line for PR professionals operating in a democratic marketplace of ideas in which truth and transparency are imperative for effective governance is to be sure that our work contributes to — rather than interferes with — informed decision-making. 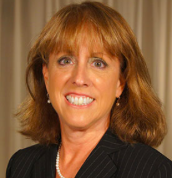 Kathy Fitzpatrick, J.D., APR, is a professor in the School of Communication at American University, and a senior adviser to organizations on matters related to public relations, public diplomacy and strategic communication.